Hong Yee Low received her PhD from Case Western Reserve University in 1998, in the area of polymer science and engineering. She spent about 2 years in Motorola Semiconductor Sector in Malaysia. To pursue her interest in materials research, she joined the Institute of Materials Research and Engineering (IMRE) in 2000. 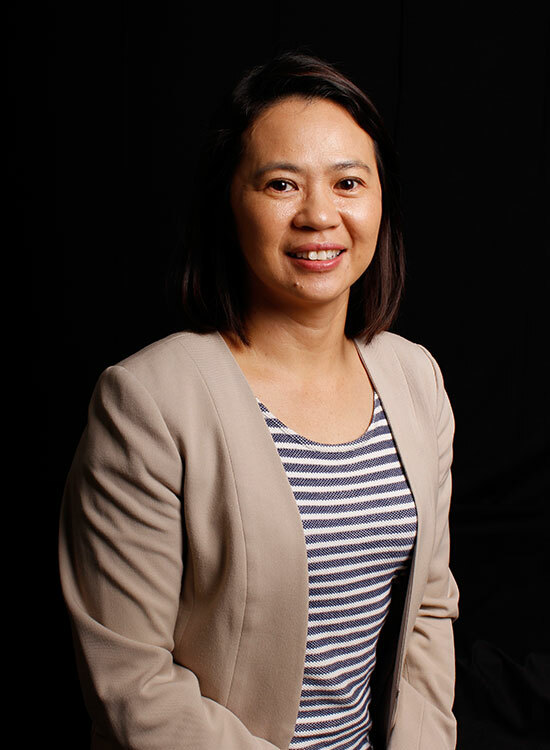 During her career in IMRE, she has held a few key appointments including the department head for the Patterning and Fabrication Capability group for 5 years, principle investigator /program director for nanoimprinting research since 2003, as well as the director of research for 2 years. In terms of research, she has been working on nanoimprinting of biomimetic surfaces. Her team has developed a variety of biomimetic surface functionalities onto engineering polymers, which she believes has a good potential to be a more sustainable technology to impart and improve product performance without relying on chemicals. Engineering of ‘soft’ material properties at nanoscale which include development of scalable nanofabrication processes and the understanding of structural-properties relationships.